Hillary Clinton's favorability is at its lowest point since 2008, thanks to the role she played in last year's Benghazi controversy. But man, does the lady know how to work social media! Hair icon? Pantsuit Aficionado? TBD? You're killing us. 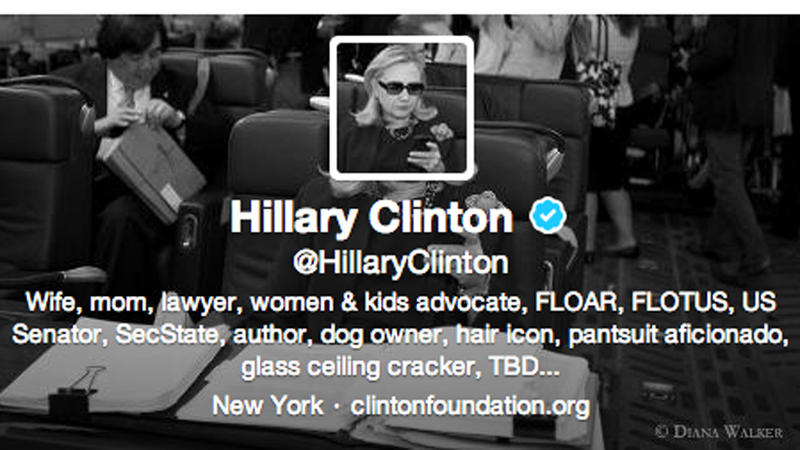 Naturally, her first Tweet is a shout out to the "Texts from Hillary" creators. Will her Twitter wit sway independents, who gave her a 63 percent favorability rating in April's Gallup poll but only 52 percent in June? Will it make Americans forget about Benghazi/that all politicians are pretty much lying all of the time (#PRISM)? Unlikely. Will Hillary gain more followers than Miley Cyrus? Maybe!